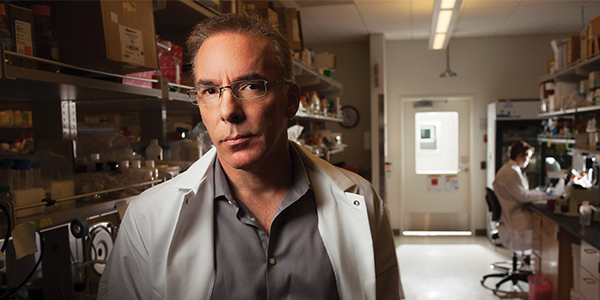 Michael Gale Jr. (PhD, UW Pathobiology, ’94) will receive the UW School of Public Health’s 2019 Distinguished Alumni Award — the School’s highest honor, which recognizes distinguished service and achievement in public health. Dr. Gale is an international leader in the field of RNA viruses and innate immunity, and his research has influenced the new and growing field of host-directed innate immune therapeutics. He is credited (while an assistant professor at the University of Texas Southwestern Medical Center in Dallas) with defining retinoic acid inducible gene I (RIG-I) and the RIG-I-like receptor pathway as the major pathogen recognition receptors that mediate the body’s recognition of RNA viruses to initiate the immune response against infection. This work has led to huge advances in understanding innate immune regulation and infection by hepatitis C virus, and informing the development of drugs that can now cure most hepatitis C-infected patients. He is currently working on ways to stop emerging viruses such as Zika virus, and on defining processes of vaccine protection against HIV. Dr. Gale will give his Distinguished Alumni Award Lecture, “Controlling Viral Infection: From Hepatitis C to Zika,” at 7:30 pm March 7, 2019, in UW’s Kane Hall, Room 220. Registration is required, please visit this link to register.